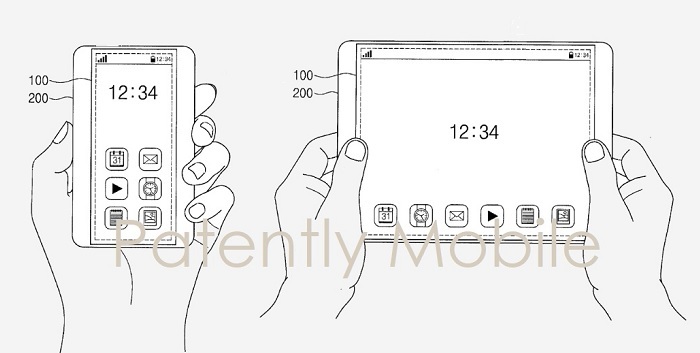 A new patent application from Samsung for a smartphone has been revealed that's able to be stretched out to that of a mini tablet should the user require the added space for viewing entertainment content or a large spreadsheet. 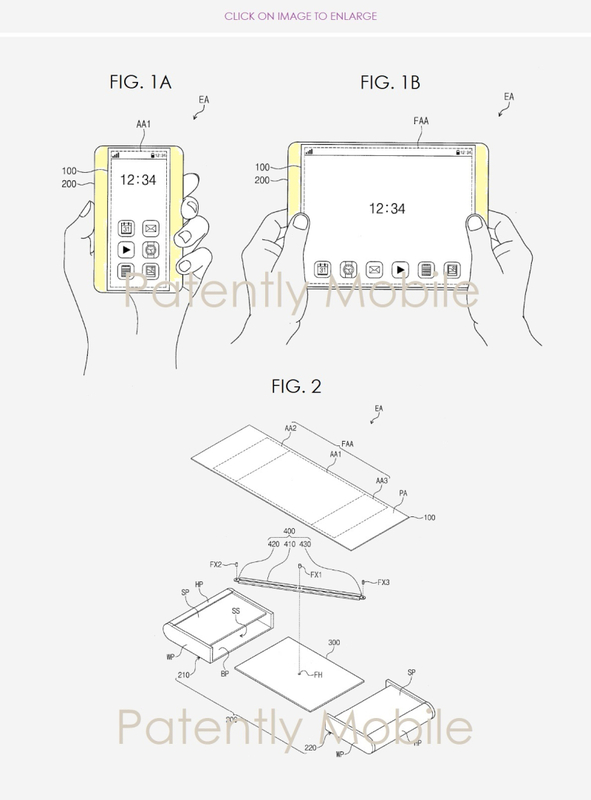 In the patent figures, 1A and 1B, illustrate a smartphone with side bezels that could be grabbed and then pulled left and right to expand the display to the size of a mini tablet. Patent figure 2 illustrates the parts that make up the new stretchable device. 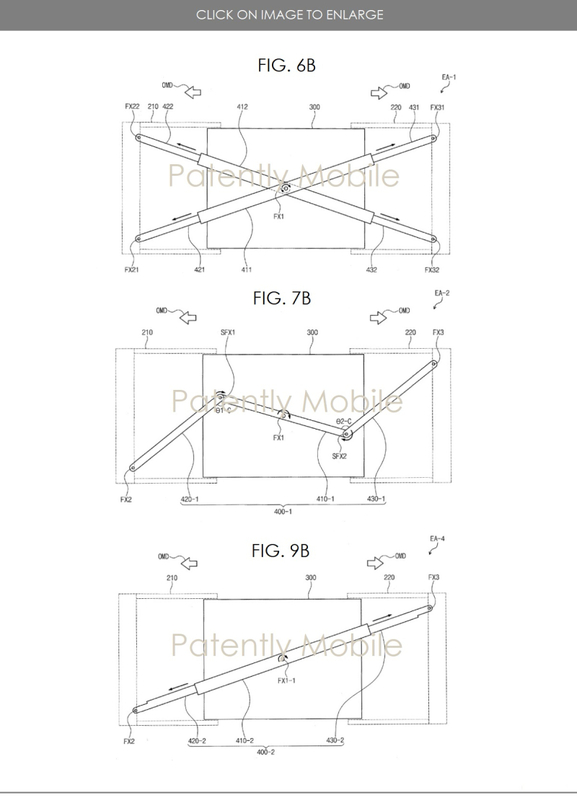 Samsung's patent figures 6B, 7B and 9B below illustrate various fastening member and hinge configurations that could be adopted by Samsung to support the back of the display stretching from an original smaller sized phone to that of a mini tablet. The sides remain locked into position until an icon is pressed that would unlock the side bezels allowing the user to expand the display by moving the bezels left and right at the same time. 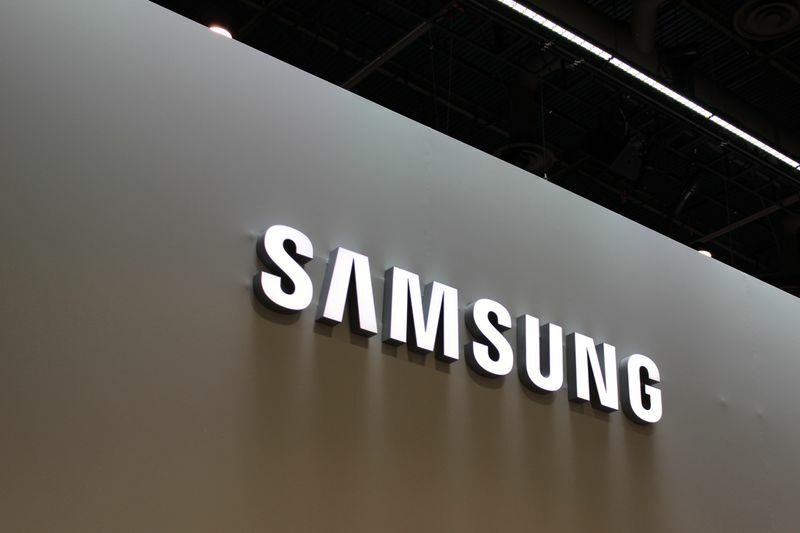 Samsung filed this patent application in Q1 2018 and the U.S. Patent and Trademark Office published it on Nov. 29, 2018. Considering that this is a patent application, such an invention coming to market is a big unknown at this time.